A laser rangefinder is a nifty little tool that I use to correctly read the true distance of my game from my treestand or ground blind. This is especially important if I’m aiming at targets at farther distances, since it’s usually harder to make accurate shots without some sort of visual aid. There are a lot of different rangefinders out there, but are all of them reliable? Here are my top 6 best laser rangefinders for bow hunting, plus some quick tips on how to pick the right model for you. Accuracy. 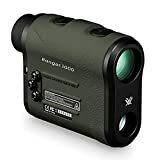 Because you will use the rangefinder in the hunting grounds, you need to get a model that can accurately compute the true distance and angle of your target from you. I can personally attest that it is not easy aiming at a deer or turkey that is almost directly below me while I’m up in a treestand. But with the help of an accurate laser rangefinder, I can increase my chances of getting a good shot it, even with difficult angles. Reticles. A reticle is an aiming point (sometimes a circle) you see when you peek into your laser rangefinder. For me, a good rangefinder has a reticle that I can easily see, no matter what my hunting environment is. While some rangefinders have reticles that are hard to see in dark backgrounds, others have aiming points that are too bright. Having either makes it harder for me to aim accurately at my target. Usually I look for a model that has a black reticle so I can easily see it in daylight, but also has a backlighting feature so that I can still see it in low-light settings. Priority Mode. Another important feature of a laser rangefinder for bow hunting is its last-target priority mode. This feature allows you to get the correct distance of your target, since the rangefinder will report the distance of the farthest object in its line of view. For example, if I aim at a whitetail that is 100 yards away, my rangefinder will ignore all the clutter that is in between me and the deer (e.g., branches, large leaves, low-lying fruits). Instead, it will prioritize the last target in its line of sight, which in this case is the whitetail I’m aiming at. Speed of Scan. Chances are, you may need to use your laser rangefinder to aim at a moving target. When this happens, you need a reliable unit that can scan that turkey or whitetail at the quickest time possible. As a bow hunter, I would go for a model that not only scans targets at the shortest possible time, but also show the target accurately through its lens. After all, there isn’t really any point of scanning the position of that turkey in less than 10 seconds if I can’t see its vital points, right? Target Sensitivity. While you will be using your rangefinder to aim at targets from a distance, there may also come a time where you need to aim at something from less than 10 yards. If this happens, you will need a rangefinder that can precisely detect your target at such close range. I recommend going for a model that has precise close-target sensitivity, with at most 5x or 6x magnification. This helps improve focus on closer targets, especially those in cluttered hunting environments. Top of my list for the best laser rangefinders for bow hunting is the Bushnell 202442, also known as The Truth Laser Rangefinder. I find that there is something beautiful and elegant in its design, which is just icing on the cake. 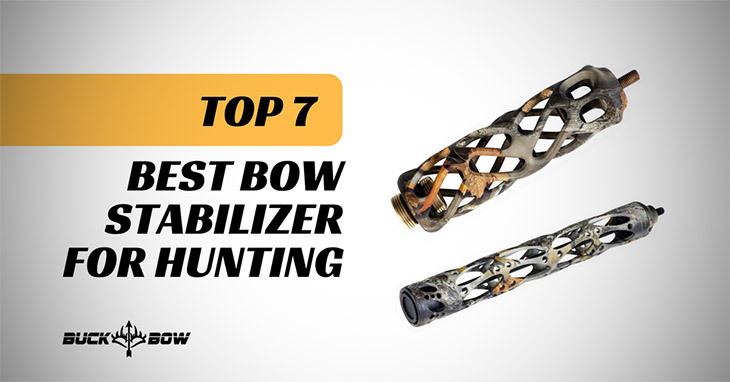 What I really like about this model is its features and functionality that makes my job as a bow hunter a whole lot easier. For one thing, it has the innovative ClearShot technology, which provides instant feedback on my shots. I also don’t have to worry about accidentally hitting branches and other obstacles between me and my game, because I can calibrate my rangefinder so that it corresponds with my bow’s speed via its sight system. For a reasonable price, this Bushnell model can read distances of up to 850 yards clearly. All these can be viewed thru its very bright lens, which surprised me because the unit is built so small and compact. The main thing I want Bushnell to improve for this model is that sometimes I have to restart the unit for it to range properly. I also sometimes hear a faint buzzing sound when I’m using it, but not enough to alert a deer or turkey I’m targeting. If you’re looking for an alternative rangefinder, then I recommend another Bushnell product: the Bushnell 202208, also called its Bone Collection Edition Rangefinder. 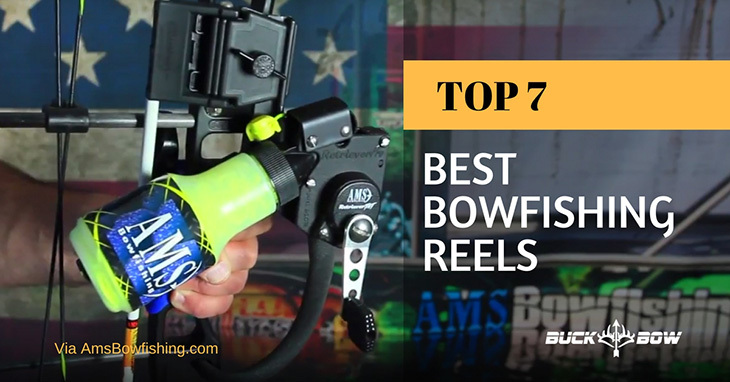 While it may not have as many cool features as the other Bushnell model in this list, I find that it works effectively for regular bow hunting sprees. I think my favorite feature of Bushnell 202208 is its camo design. I find that it’s easier to hide it in plain sight since it blends with what is usually found in hunting grounds. This camo housing is also weather resistant, so I don’t have to worry about ruining it when a sudden drizzle happens while I’m in the field. I find this Bushnell model very convenient to use, featuring a simple one-one button operation for easy distance ranging. I think its optics clear and easy to see view, and with a 4x magnification, it’s good for ranging close-distance game. I did find some issue ranging small targets past 200 yards, especially in low-light settings. And perhaps because it’s not as expensive as other brands, it might not be as hardy as them. Still, for the price you’re paying, I’d say you’re getting a pretty good deal. 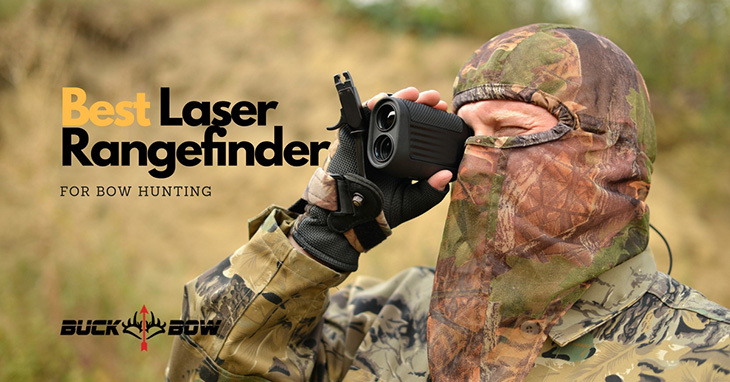 If you’re a bit low on budget but you still want a reliable laser rangefinder, then I think the TecTecTec ProWild Hunting Rangefinder may be a good fit for you. For a very budget-friendly price, you’ll reap the benefits that other efficient but more pricey rangefinders may offer. For instance, it can provide fast measurements with +/-1 yard accuracy, all thanks to its speed, scan, and hunt technology. It also features multi-layered optics that are super clear and easy to read. I find it really convenient to check my measurements because of its big display. I also like that it’s portable and lightweight, especially since it’s made with a durable dust- and water-resistant body. Additional bonuses are the free lanyard and casing, so it’s easy to bring it along during my hunts. My main issue with this rangefinder is that I can’t seem to read targets clearly from long-range distances. I noticed that the farther my target is, the less accurate its readings become. Also, the batteries do not last as long as other premium brands. If you don’t mind spending extra on a premium item, then I suggest checking out the Vortex Optics Ranger Laser Rangefinder. It’s more expensive compared to other laser rangefinders, but it makes up for it with its cool features. For me, its best feature its advanced LOS mode, because it gives me the option to calculate long-distance, high-angle shots with increased precision. It also has a primary HCD mode, which displays distances at a compensated angle, which most hunters prefer. I also love its innovative scan feature, which gives me continuous range readings as I pan my rangefinder across a landscape or as I track and follow a moving whitetail or turkey. And did I mention it has three brightness settings? These allow me to see the display no matter what the light condition is in my hunting ground. Other cool features of the Vortex Optics Rangefinder include its multi-coated lenses, a textured rubber armor for a no-slip grip, and waterproof and fogproof lenses that allow me to see through in harsh weather conditions. Sadly, I find that this model takes too long to read long distances so there’s always a chance my target has moved on before I get a good bead on it. I’m also a bit miffed that it takes me three clicks to get one reading. Often hunt on humid or rainy hunting grounds? Then you’ll probably enjoy using the Leupold RX-850i TBR Rangefinder. It is 100 percent waterproof and fog proof, so you won’t have to worry about looking into a display with moist in the lenses, or having your unit short circuit because it got wet. Aside from that, this Leupold model features a 6x magnification, which I find works well in reading both short-range targets and long-range ones. Its built-in inclinometer allows me to calculate the ballistic range of my target, which makes it easier to make my shots. I also love its hardy and durable aluminum casing. But the rubber armor coating is what really makes me happy, since I can easily grip it without worrying that it would slip from my hand. Another bonus is that it comes with a CR2 lithium camera battery, so you could immediately use it as soon as you remove it from its box. What I don’t like about this model is that I think the reticle is too heavy. This makes it harder for me to view smaller targets and pinpoint their vital points well. The display sometimes appears dim, too, especially in partially covered forest settings. My clear favorite is the Bushnell 202442 Rangefinder. I love its ClearShot technology because I can quickly get feedback for my shots. I can easily read targets that are up to 850 yards away, and view them in its large and clear display. Elegant and beautiful, the Truth Laser Rangefinder comes at a very reasonable price for the features it’s offering. My other favorite is another Bushnell product: the Bushnell 202208 Bone Collector Edition Laser Rangefinder. 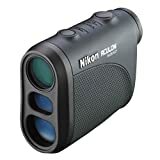 It has an accuracy of +/- one yard, has 4x magnification perfect for short-range distance readings, and uses a simple one-button operation. Plus its camo design allows it to blend well in different hunting areas. I still remember getting my first turkey call. I was new to bow hunting back then and didn’t know much about getting the right equipment. Because I bought something too complicated to use, I ended up having a hard time during my hunting trip. Are you a new turkey hunter? 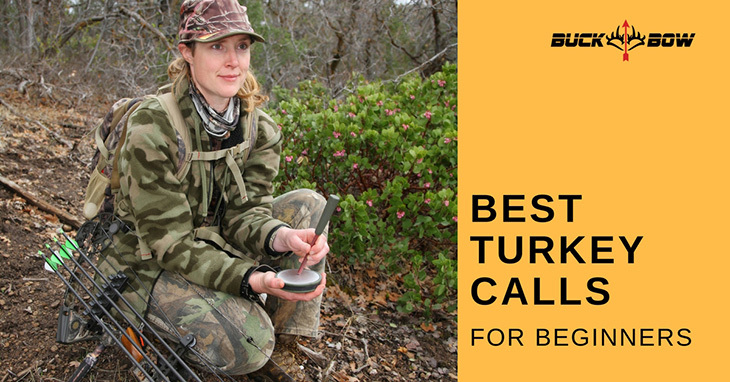 Are you looking for the right turkey call for an upcoming hunting trip? Today I’ll be explaining the differences between the different types of turkey calls for new hunters. Then I’ll give a roundup of what I think are the best turkey calls for beginners. Practice makes perfect, and this has never been truer than in bowhunting. 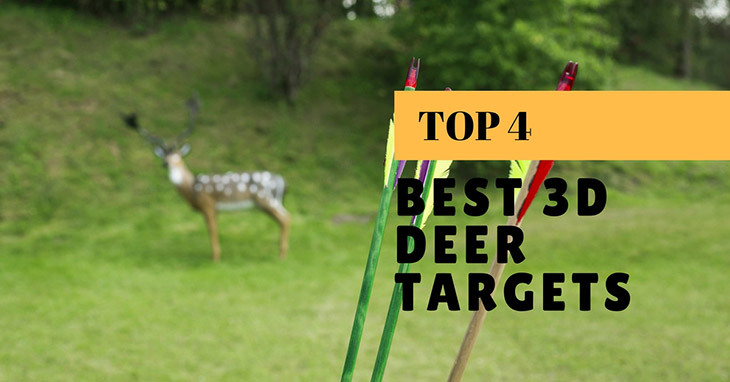 If you want to hit those whitetails in their vitals accurately, you need to spend time shooting arrows before hunting season so that you can hone your shooting skills. A good archery target should not only help you improve your aim, but should also last a long time so that you could get your money’s worth. 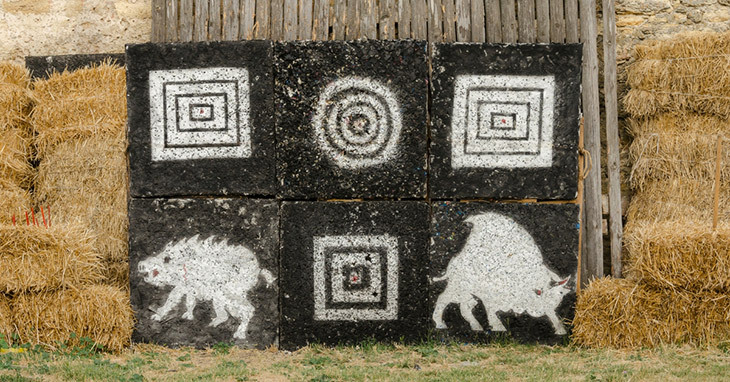 Looking for the best archery targets for your next practice session? Today I’ve made a list of my favorite ones to help you out. Cutting arrow shafts to length is a task that I encourage bowhunters to do. Not only does it allow you to save money (as opposed to buying new arrows every single time), you can also customize your arrows’ length depending on your needs. To cut arrow shafts properly, you need a reliable arrow saw that will do the job. Some bowhunters prefer to make their own saw, while some attest to the advantage of a store-bought one. If you’re looking into buying an arrow saw for your cutting needs, then look no further. 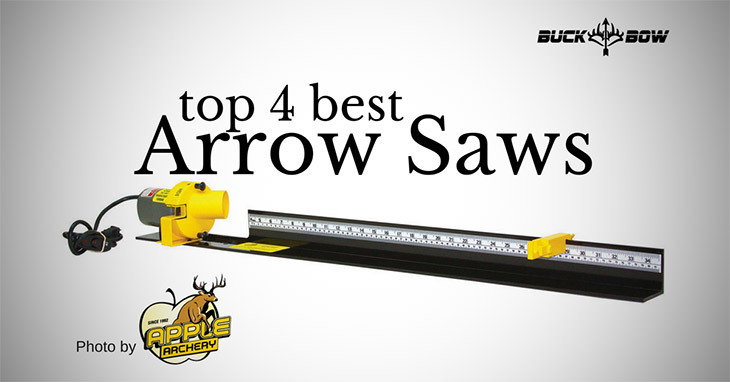 Here are my recommendations for the best arrow saw, which you can choose from. A ground blind setup is not complete without a good chair. After all, where else do you expect to sit down while waiting for game to pass by your blind? Surely you don’t want to spend long hours slumped on the ground, right? Finding a good blind chair these days could be tricky, especially if budget is a primary concern. But don’t worry! 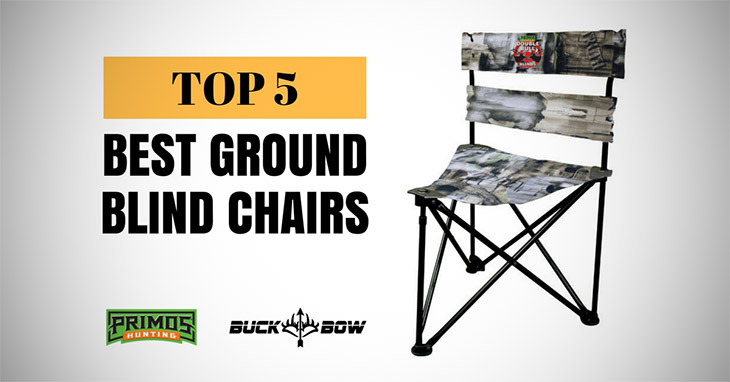 Today, I will share my top 5 best ground blind chairs for every hunter’s budget and needs. Do you want the convenience of using a gun but you don’t want to invest on bullets? Why not try a pistol crossbow instead? It works mostly the same way, but you can save money on the weapon and ammunition, as long you know how to choose a good-quality model that suits your needs. Interested? 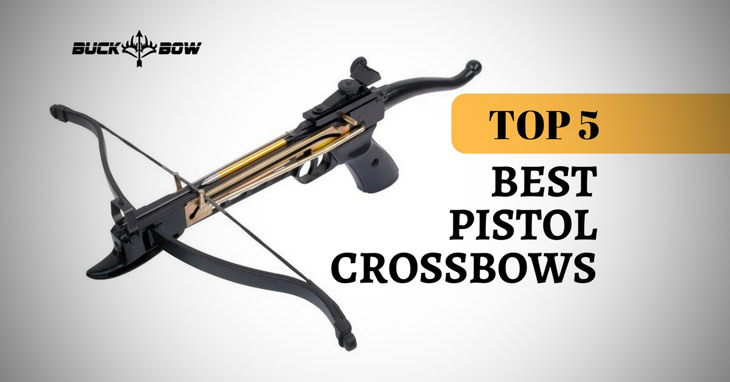 Here is a list of the best pistol crossbows that you can choose from. 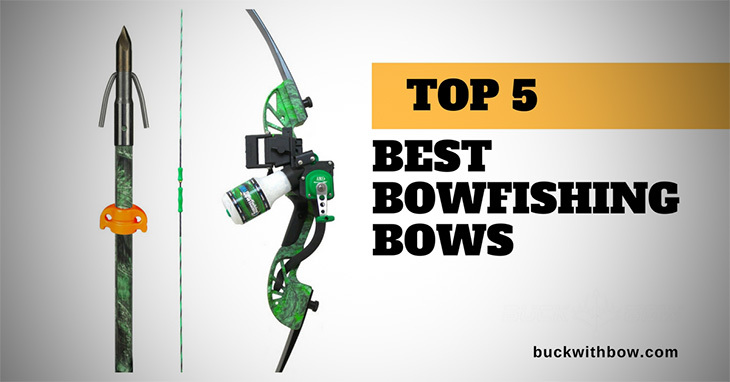 You can also find helpful tips on how you can choose the right pistol crossbow for you.